It all began with a letter inquiring about second-hand books, written by Helene Hanff in New York, and posted to a bookshop at 84, Charing Cross Road in London. As Helene’s sarcastic and witty letters are responded to by the stodgy and proper Frank Doel of 84, Charing Cross Road, a relationship blossoms into a warm and charming long-distance friendship lasting many years. Here’s a little fact: I love snail mail. I love letters, specifically. I think it started when our third grade teacher taught us about letter writing, and we had to pick pen pals within the class. I loved getting letters in the mail, but since my classmates and I live close to each other, it’s not really that practical to be pen pals with them. When I was in sixth grade, though, my best friend from elementary school moved to the United States. We didn’t have much contact when she left, until I happened to get her mailing address from a common friend and I sent her my first snail mail letter. This had us sending letters back and forth for the next two years, until email came and we switched to that. 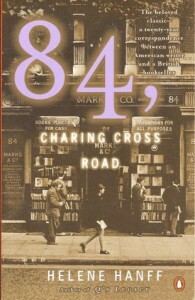 Reading 84, Charing Cross Road by Helene Hanff is almost like a trip back to memory lane on those days when I would spend so much time writing letters to my best friend who lived in the other side of the world. This thin volume is a collection of letters from Helene Hanff, a screenwriter in New York search of second hand books to a bookstore in 84, Charing Cross Road in London. This sparked the friendship between Helene and the staff of the bookstore, one that consisted of letters, books and gifts and spanned for decades. 84, Charing Cross Road is a little gem of a book for book lovers, and it’s most appropriate that the copy I read is a shared copy from our book club. We call it our own traveling book, and it’s gone through several readers before it landed in my hands. It’s a quick and funny read, and I finished it in a few hours — smiling, laughing, and then sighing at the end. Helene’s letters were witty and sarcastic most of the time, and Frank Doel of the book shop were always formal and proper, yet still filled with warmth. Pretty soon, the rest of the staff were writing letters to Helene, too. I find myself checking the dates in the letters every now and then, and I can’t imagine the time that pass before the letters get to the recipients. My own mail takes two to three weeks before it arrives, but some of them span months in the book. I guess it meant that they were more patient back then, whereas I get so miffed sometimes when I don’t get a reply to my email or my text message within the day. But true friendship transcends time and distance, right? If you happen to pass by 84 Charing Cross Road, kiss it for me? I owe it so much. I used to love letter writing until all my letters got burned. After that, I just lost my love for it. I was too attached to the letters that the moment I found out that they’ve been burned, I felt like the invisible threads connecting me those people whom I write to were snipped. But I love this book despite the painful reminder of the lost letters because it is also a reminder of those happy years when I would patiently wait for replies from my pen pals. I loved the genuine warmth, humor, and realness of this book. I’m so glad you did too. I wish I would’ve read this before London so I couldn’t visited the site of the shop. I still have two huge boxes of letters from my letter-writing days, DECADES ago. 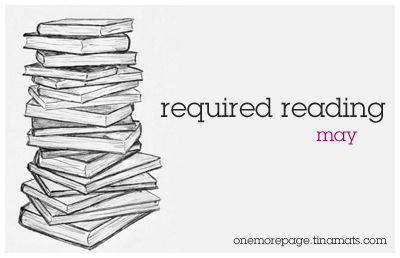 I just can’t bear to discard them, even if my dad used to say they’re a fire hazard. Haha.